Currently firms dedicate 36% of their marketing budget on content related strategies. 53% of firms plan to increase this expenditure within the next 12 months. These results from Content Marketing Institute UK show content marketing is worth your time. Content marketing is clearly not just another hype. Rather, it’s a concept that has been evolving over time, allowing itself to be shaped by the digital marketing ecosystem over the past years. 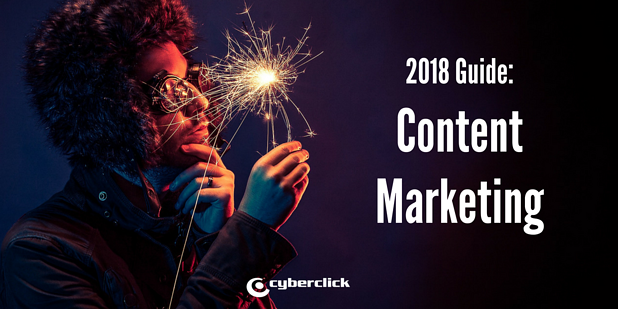 To start this 2018 guide, I’d like to recap for you what content marketing really means. I’ll then go deeper into the matter, delving into what the world of content marketing can bring to us, explaining the best methods of implementation, and a case study on best practices when working with influencers. Content marketing is a concept that is well known yet poorly understood. Here are a few of definitions put forward by top marketers. In summary, the content marketing crux lies in creating relevant content that will attract and ultimately bring your audience to converting into customers. It’s a way of adding value for free. In other words, you give to gain. It’s a long term investment. When choosing between the various options in your marketing toolkit, understanding which tools will bring a quick fix, and which provide a long term solution. In the case of content marketing, you’re looking long term, placing a bet on the future of your brand. Keep in mind that you will most probably not see profitable results within the first months, but keep your eyes on the prize, and don’t lose motivation just yet. It’s a lot more than just writing articles. Content comes in various shapes and sizes; it’s certainly not limited to your blog posts. In reality, a complete content marketing strategy has four phases: traffic generation, lead generation, lead nurturing, and client conversion. We’ll be looking further into the world of content marketing in the next section. It’s not publicity. As opposed to focusing on selling something directly, your content should have the main focus of adding value. There’s nothing worse than a poorly timed sales pitch. Be a helping hand, giving support to your user and sounding authentic. Don’t speak through slogans. Brand sponsorships. When a brand sponsors an event, they are associating themselves with particular content (the themes and messages addressed at the event) that reflects their values and spirit. It can be understood that the sponsorships are an indirect form of producing relevant content. Even clearer examples of this are the campaigns in which the brands convert a group of creators, responsible for producing sponsored content, into advocates. In this way the brand demonstrates their support for artists who reflect their philosophy whilst receiving in return a valuable source of regular content. Native Advertising. Native advertising is a form of paid advertising in which you publish content in a medium external to the firm. This content will reflect the type of medium in which it is published, and adds value to the audience of this medium. IHS and Facebook Audience Network recently wrote in a report that by 2020, 63.2% of mobile advertising will be native. This number gives us an idea of the importance of native advertising and its potential opportunities for growth. An example of this type of advertising includes a campaign for the series "Orange is the New Black". The show is about the lives of female convicts in a prison in the United States. On the release date of its new season, The New York Times published a long report on the challenges facing women in prison, with interactive elements and which was sponsored by the Producer of the series, Netflix. Social Media. Social networks are a channel of interaction with the consumer and for disseminating the content. We can use social media to spread existing branded content, as well as creating content directly for specific channels. Each social network presents unique characteristics regarding the format of the contents, so the best creative solutions will adapt to them. A recent example are Instagram and Snapchat stories, which have changed the way we understand and consume content. Guest Blogging. Guest blogging consists of publishing content created by brand representatives to other important blogs in the sector. In this way, we get to expose ourselves to a new audience and improve SEO (by creating external links to our site). 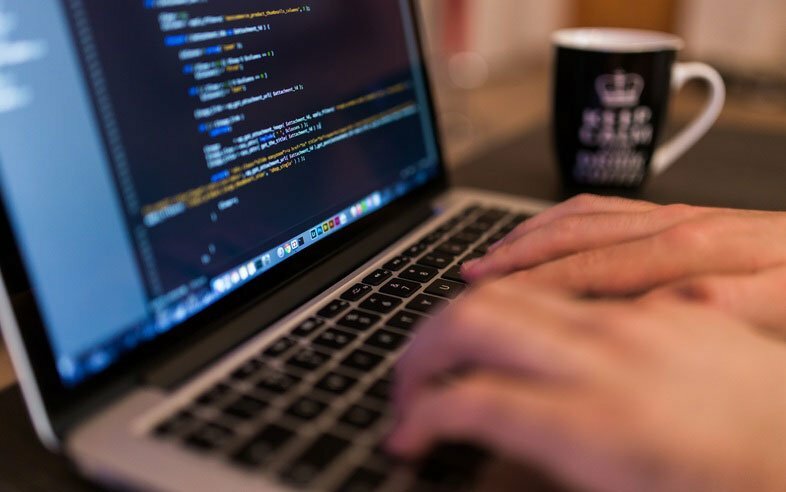 It can also help position ourselves as specialists in a specific topic as well connect with other influential blogs of the sector. There are many keys to success for your content, but if you were to force my hand to give you one sole piece of advice, it would be, “tell a story”. As I touched on earlier, direct sales pitches don’t work with content marketing. They simply don’t achieve the goal of truly connecting with the audience and adding value. To reach your consumers, you need to be authentic and sincere, make them believe they are seeing your true colors. Show them you are there for their benefit alone with no hidden agenda. Do this by avoiding intrusive ads, and instead contribute to the user navigation experience. Make use of title and intro to attract users. Stand out in the sea of content. Your intro and title are your buoys in the ocean. The title and intro must achieve a good balance between two factors: attractiveness and descriptive of what is yet to come. Briefly outline in an engaging and appropriate what type of content the reader can look forward to (especially important to avoid rebounds of disappointed users). Prioritize clarity. Journalism seeks to inform a large segment of the population. Best practices will include picking out the facts that are most relevant and communicating these in a clear and simple way. When we talk about reading on the internet, expressing oneself in a simple way is more important than ever. Try using short paragraphs and add in elements to break things up; like bullet points! Have a clear focus. How you tell your content, is just as important as the actual content itself. In many cases, the difference between one medium or another is not the news or facts themselves, but in the distinctive perspective the medium takes. Here I can urge you to take a moment for self-analysis, and reflect on what your brand voice is and why. Be concise. Gone are the times where an article had to be double spaced and squeezed into a column. But we can always learn a lot from journalists, like learning not to abuse the patience of our users, in both text and video content. There’s beauty in brevity. Images. They say a picture is worth more than a thousand words, and these golden words remain valid. Photo galleries, infographics and videos provide value to the content and are far more attractive than a long read of plain text. To conclude this guide, I would like to share some insights from a case study by Affilinet made for the Retail industry. The objective was to increase the lifetime value for the customer through an Influencer campaign. This campaign achieved a revenue increase from blogger publications by 37 %. Specific campaigns and recruitment by categories. Bloggers were categorized according to the content they published and marketing communications were adapted to these categories. Reactivation campaigns. In order to increase the number of active bloggers, a program was carried out to identify those influencers who had stopped participating, to ensure active influencers were categorized well and to send these specific contents. Recruitment strategy. Extensive efforts were dedicated to ensure that the brand collaborated with the best bloggers in the sector, including specific events and educational materials. Maximizing your reach. Thanks to the social networks of the collaborating influencers, the brand was able to multiply the scope of its contents. Affilinet and the social team of the brand collaborated closely to ensure that the corporate identity was maintained in all the Channels. What is branded content? Definition, advantages and examples.